Effective 9/1/18, the Trabant parking garage changed to a license plate based system. The system uses an app called "PassportParking" that you can use to add time from your phone should this be necessary. For more information please visit www.ppprk.com. We recommend estimating 3 hours for dinner & 2 hours for the lunch buffet and the bistro. Vita Nova hosts Special Events on a limited bases during normal business hours, including cocktail receptions, meetings, lunches and dinners. The max capacity in the Vita Nova dining room is 40 guests and in the Bistro Room is 24 guests. Please e-mail us at vitanova@udel.edu or call 302-831-0500 for more information. Vita Nova is the signature student-operated restaurant which is part of the Hospitality Business Management program at the University of Delaware. It features a "Best of Delaware" award winning lunch buffet Mon-Fri and elegant fine dining Wed-Fri during the fall and spring semesters. For lunch, the students offer fresh, local dishes including gourmet salads, soups, pastas, entrees, fire-roasted paninis, flatbreads, cheese board and mini sweets. 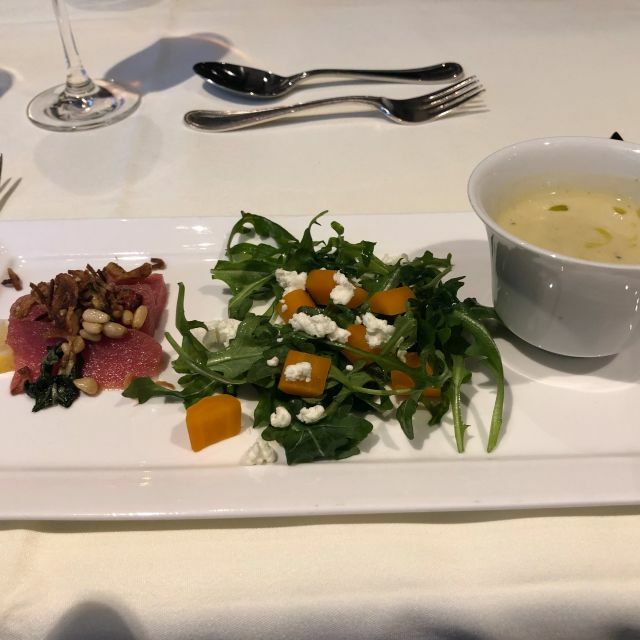 The five-course dinner begins with a fusion-inspired appetizer trio and choice of salad, followed by intermezzo and your choice of entrée cooked in our newly-renovated show kitchen. 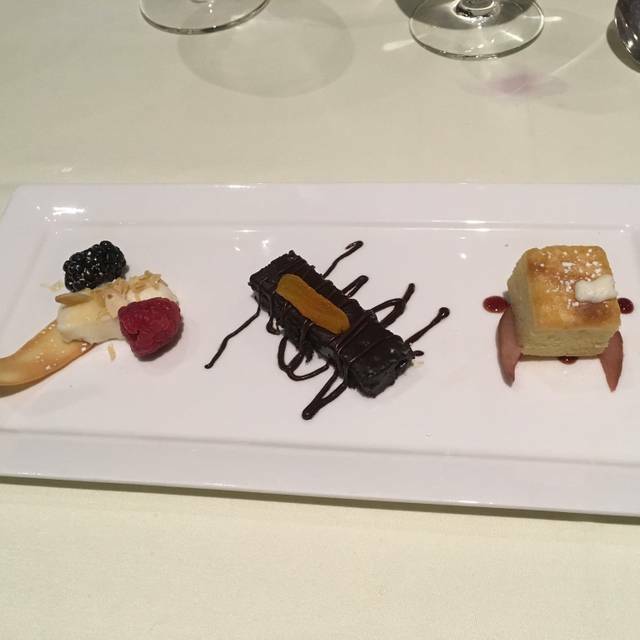 The evening ends on a sweet note with a decadent dessert trio. Vita Nova offers an extensive beverage selection including 20 wines by the glass, local beer and espresso drinks. 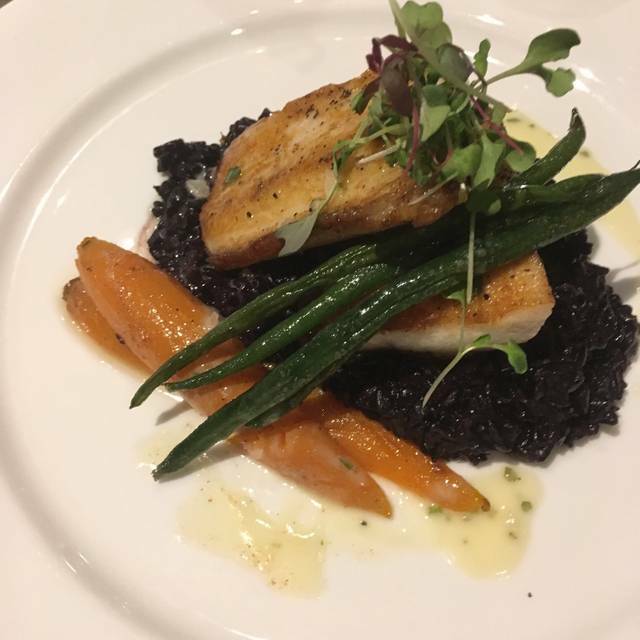 The hospitality students also manage the Vita Nova Bistro, a more casual dining experience featuring an innovative small plate menu and a 3-course Theater Menu. It’s always, FIRST CLASS. Thank you for teaching excellence. I took my elderly parents for lunch at Vita Nova. The staff were very kind to seat us in a location that was easy for my father, who uses a walker, to get to. There was a nice selection of food at the buffet. I had a chicken dish that was very good. Favorite items also included the English popovers and the selection of desserts. It is so much more fun to try small quantities of a number of different desserts than just one dessert. Thank you Vita Nova for a lovely lunch at a very reasonable cost. Every time I’ve been here it has been outstanding in every way. 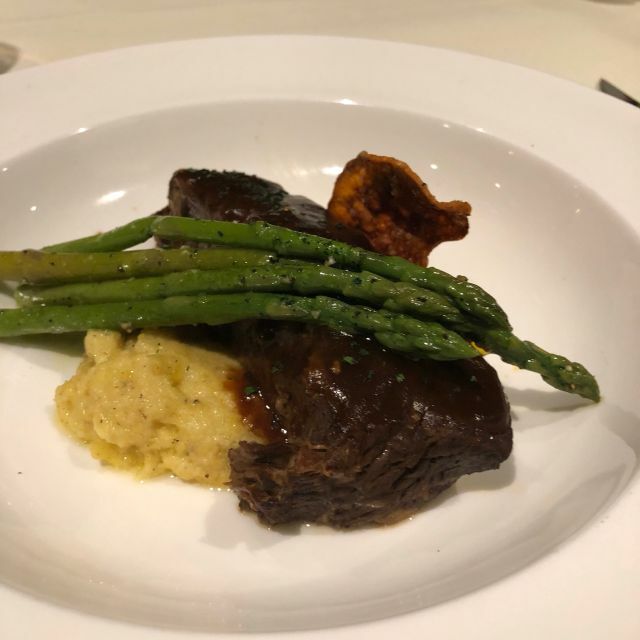 The food and service are always excellent ! It is a beautiful restaurant, but the food is bland and lukewarm. Always wanted to come here when I was a student. I waited too long. We had such a great time. The food was fantastic and everyone was so nice and professional. Thank you for everything. Food is absolutely excellent. Small, appropriately sized portions. Service had quite a few hiccups, for example drinks sitting empty for 10+ minutes. Also poured some of my beer on the table, then took what was left in the bottle away instead of leaving it. I chalk this up to it being nervous and inexperienced students. Unique experience, will go again. The restaurant is a hidden gem. Run by students with professors overseeing every detail from food prep to service, the experience is a treat. The open kitchen let’s you see the students hard at work preparing every detail of the meal. Greeters and wait staff make sure that water glasses are filled at all times, plates are cleared and inform you when your next course is coming. A sommelier describes the nights wine on hand, giving information about the origin and distinct hints of flavor. This is a place that truly is one of the best and could compete against any fine restaurant in New York City. Outstanding dinner once again. I love coming here and bringing my out of town quests for this fabulous treat! We had wonderful dining experience! Part of the fun is interacting with the students who are in training. What a great experience. The students were amazing. It was the first night they were opened for Spring semester. Food was delicious and service was great. Presentation was spectacular! It was surely a dining experience! We had to keep asking for more water. Maybe a pitcher could be left on the table? Other then that we had a wonderful experience and will surely be back for years to come! I've been going there for years to celebrate special occassions and it continues to be an excellent choice. We are regulars at the Vita Nova lunch buffet and have never been disappointed. 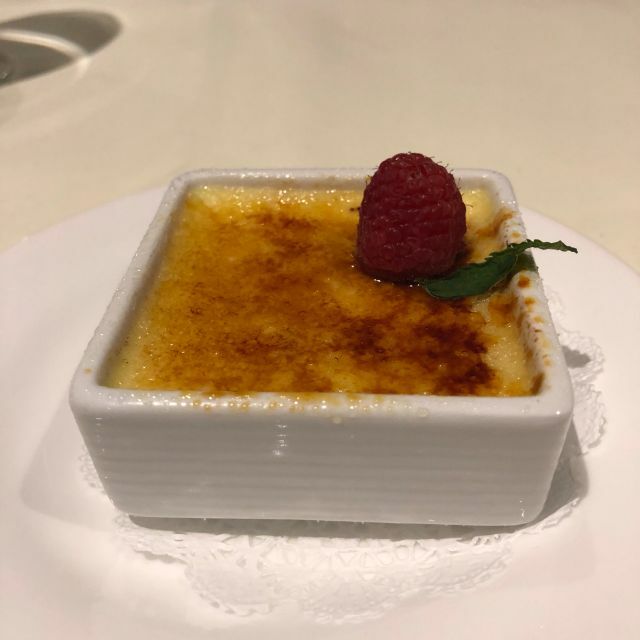 The food, service, and atmosphere are always wonderful. Had a wonderful dining experience. Definitely want to plan another evening there! Vita Nova never fails to treat and feed you like royalty! 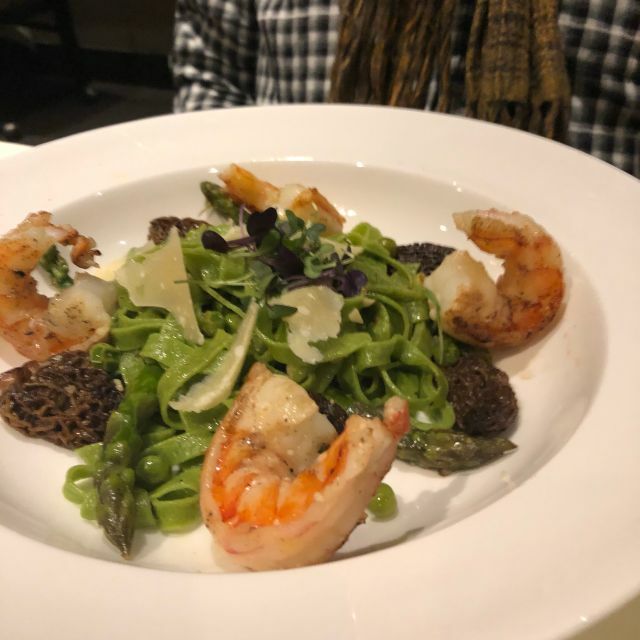 Vita nova is a wonderful dining experience. The students are very orofessional and go above and beyond to make you feel special. This is a 4 start restaurant for sure. I would recommend this establishment to anyone. Excellent atmosphere, quiet and great for conversation. The buffet was clean and well-presented, although because of the way food was maintained on the buffet it may have lost some of its flavor and texture. There was a wide selection of dishes to chose from, with something for everyone's tastes. Our waiter Huang was very attentive and professional. Overall, Vita Nova was an excellent choice for celebrating a special occasion. Very nice for lunch or a romantic dinner, celebrating a birthday, anniversary, or special occasion. We have had several visits ti Vita Nova and have always been very happy. Food was good, but not memorable. Service was horrible. We usually get students who take their " job" very seriously...I don't even mind that they may be a lil nervous. This group seemed to think it was a Friday night and it was their time to socialize. My husband saw one of our waiters in the students lounge area. We always had to grab someone to get another glass of wine or or check...When we finally received our check, we waited for approximately 15 min for him to return for it...we finally just brought it to the hostess. We enjoyed our lunch at Vita Nova. The kids were shy but very attentive and the food was outstanding. Have been looking forward to dining at the Vita Nova. Loved the ambiance, service and food. Made reservations for lunch. Everything was wonderful but I would advise to check your bill, we were charged for more wine than we had. AMAZING EXPERIENCE. 10/10. food was amazing and staff was unbelievable. From the chefs to the wait staff, they do a terrific job. Food is delicious with several choices and the wait staff is very efficient. They have been trained well! The one draw back is bringing a handicapped person. Everything was lovely and delightful. Best kept secret in Newark! Vita Nova has delicious food, lovely service, and a VERY reasonable price! As usual, everything was very good. 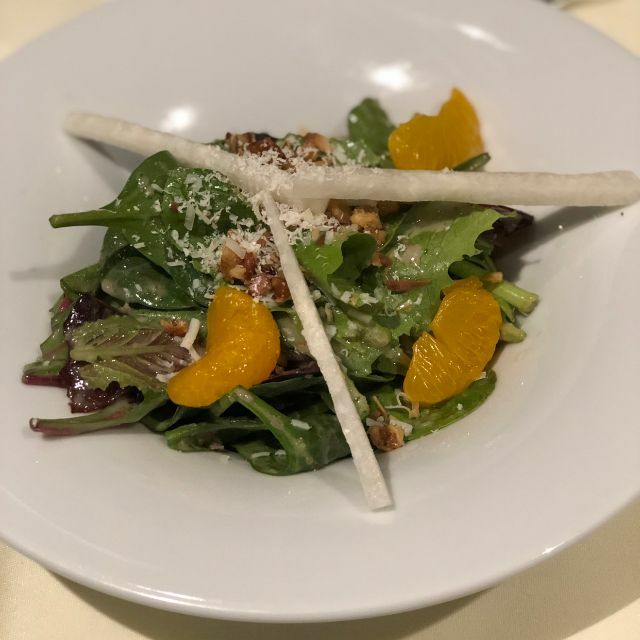 Vita Nova is always a reliable place for a business lunch - provided you know months in advance the date you will need because reservations are hard to get without advance planning. 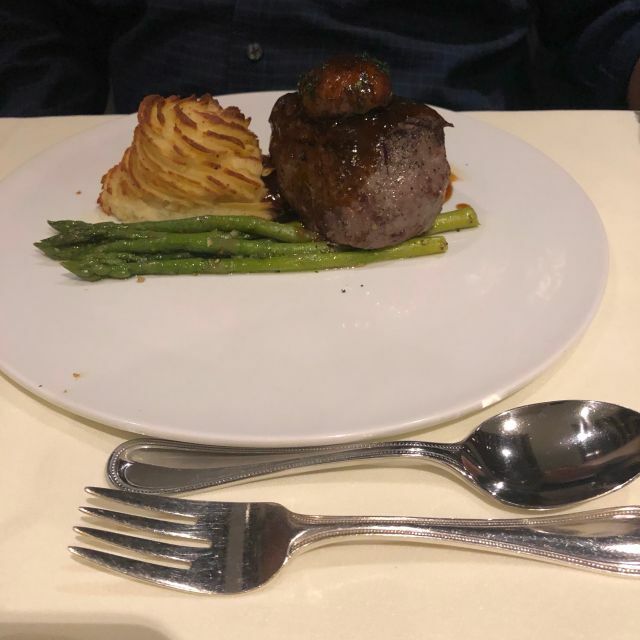 Food was excellent and the service was a ( 5 STAR ). 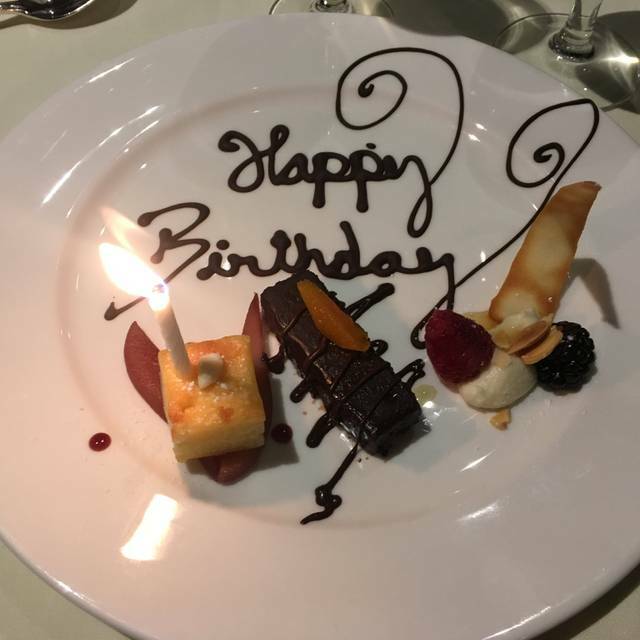 It was my wife's birthday and our waiter came out after the meal with a Happy Birthday dessert for her. It made a perfect ending to a wonderful occasion. David our server was excellent. Outstanding, affordable first class dining option located on the UD campus. Excellent service provided by the student staff. The food presentation and quality of the menu courses presented were delicious. I would give 10 stars if possible. This is the second year I have treated my husband to the lovely Vita Nova restaurant for his birthday. Everything about it is superb. I was delighted to see the addition of many gluten-free dishes. Lactose-free offerings would be great in the future. I have a strong feeling we will return long before his next birthday. Vita Nova is truly another of Delaware’s Small Wonders. Applause and thanks to all! Great food and service as always! Nice atmosphere too. The service wonderful, we really enjoyed our meal. The waitress was also phenomenal as well as other members of the restaurant. Wonderful food & wines. The students in the hospitality program try very hard to make it a great experience for everyone. Menu is somewhat limited and reservations must be made very early in the semester or you are shut out. But always such a pleasant experience for lunch or dinner. From the minute you walk in the door the service is second to none. This restaurant is run by students of the hospitality management program. It's the culmination of their years in the program and the service and food is a tribute to the University and the hard work put in by every student in the program. The food was superb and the menu has a great variety of main course choices. Everyone starts with the appetizer trio which was spectacular, a salad, intermezzo and a main. The dessert trio is also special and for a little extra umph we ordered the nitro ice cream over peach cobbler prepared table side. Everyone was so knowledgeable about the ingredients. It was well worth the three hour drive to experience every aspect of the evening. Getting a reservation is a real chore so plan far in advance. These students are well prepared for the real world when they complete this program. Vita Nova was very enjoyable and it was a great experience seeing the students at work. Drinks could have been served a bit faster after we arrived but that would be my only note. The food and drinks were prepared nicely and the staff/ students were exceptional. A great 4 course dinning experience. My husband and I visited the restaurant for our anniversary. Wonderful experience! Great restaurant for a special evening. U of DE Hospitality Management students run the restaurant in order to gain real world experience in a fine dining restaurant. The students are not paid. Working at the Vita Nova is a required 6 credit course. Everyone we encountered from the time we arrived until we left were engaging.